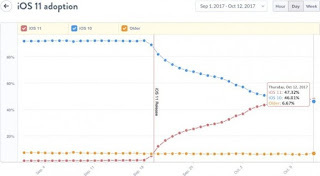 iOS 11 was released a little over three weeks ago, and now it's already managed to overtake its predecessor as the most used version on Apple's mobile devices. According to analytics company Mixpanel, iOS 11 now has 47% market share, compared to 46% for iOS 10. To achieve such a feat this fast is undoubtedly amazing compared to how things are in the Android world, but interestingly the adoption rate for iOS 11 has been slower than what we've seen last year for iOS 10. 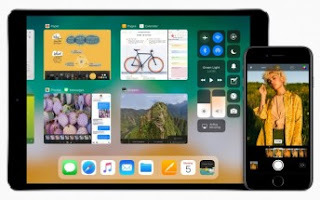 That release managed to overtake iOS 9 in installations in just two weeks, while iOS 11 was only found on 38.5% of devices at the same point in its life. iOS 9 and earlier iterations of Apple's software are still alive and kicking on 6.7% of devices for some reason. 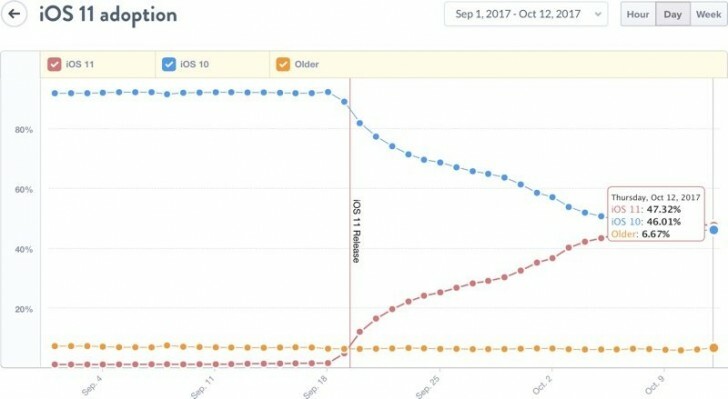 Now that it's become the No.1 version by install base, iOS 11 can only go up even further. Perhaps its market share numbers will be helped even more when iOS 11.1 drops, because that brings with it hundreds of new emoji and reintroduces the 3D Touch gesture that lets you access the app switcher with one hand.